During the second week of November (6-11), CDC will host a blog-a-thon focused on health care providers, and encouraging providers to make a strong flu vaccine recommendation to patients. The blog-a-thon will kick off on CDC’s Public Health Matters blog on November 6. CDC is encouraging partners to blog and post on their websites about the importance of flu vaccine. To participate in the blog-a-thon, write your own post on the importance of flu vaccination and the role health care providers play in ensuring their patients are protected from flu. 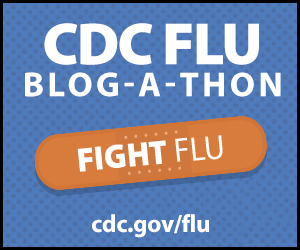 Copy the blog-a-thon badge to include with your post, and share your blog link on social media (be sure to tag @CDCFlu). For a chance to be featured on CDC’s blog-a-thon recap list, send your post to FluInbox@cdc.gov.